With Fallout 4 coming up on us very soon, this is the best time to dive straight into Fallout 3. But why put up with a plain old vanilla experience from 2009 when you can enhance it with a few choice mods? Here are 10 essential mods for a great Fallout 3 experience, with some curated by our esteemed Chatty community. With Fallout 4 releasing this fall, there's no better time to explore the Capital Wasteland one more time. But even the best games can feel a bit dated, especially when it released in 2009. Don't worry, a few choice mods will spruce the game right up. Here are the top 10 mods to ensure a fantastic Fallout 3 experience, with a few selected by our esteemed Chatty community. Sometimes, it's the simplest changes that have the biggest impact. 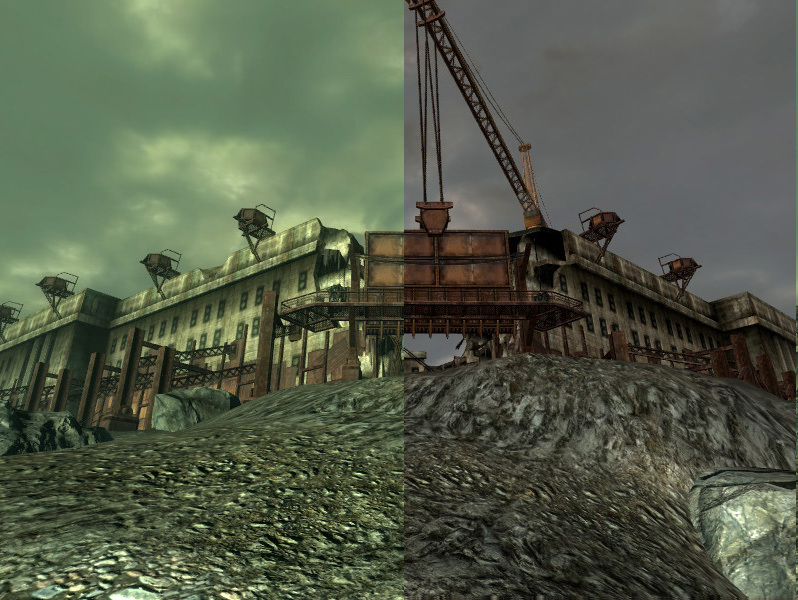 Fellout removes the green tint from Fallout 3, revealing clear blue skies and spectacular sunsets. Additionally, it removes the green fog, neutralizes the indoor lighting, and changes out the water in most places. It might seem like a minor change, but the impact is nothing short of startling. However, removing the green tint makes the nights super dark, so you'll need to make full use of that PIP-boy flashlight. It works alongside the Enhanced Weather mod, giving areas heavy thunderstorms (with radioactive rain) and snow. The dynamic weather system may also provide cover, making it easier to sneak up on people during downpours. 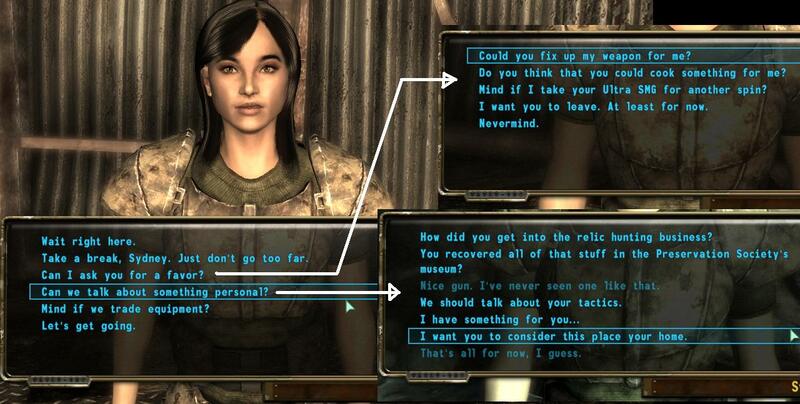 Energy weapons may be some of the most fun guns featured in Fallout 3, but they have some underwhelming effects. Energy Weapons Enhanced aims to fix that problem combining aspects from the Energy Visuals Enhanced mod with dozens of new guns, and changes to how existing ones work. Now you can properly melt the flesh from your enemies using a fancy weapons, including an energy bolt sniper rifle. 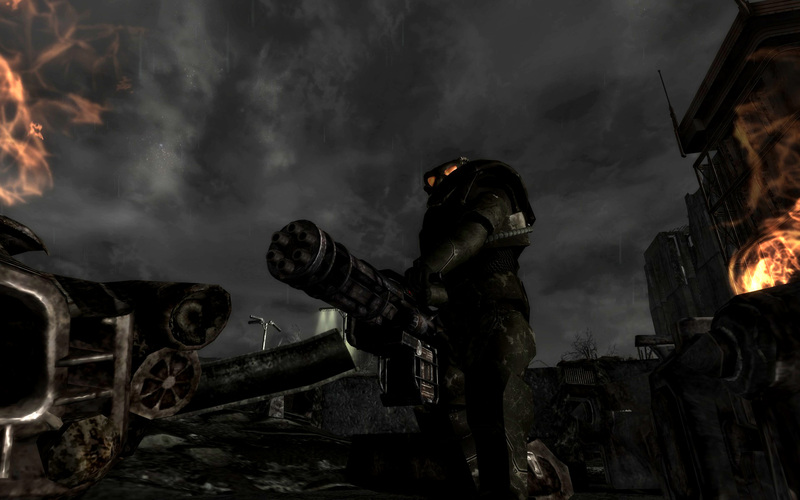 Older energy weapons, modeled after guns found in Fallout 1 & 2 are extremely powerful, but slow firing and inefficient. They'll gobble up tons of ammo. However, some of the newer weapons (the ones that are part of Fallout 3), have a faster fire rate, and use less ammo, but don't do as much damage. Also, be careful while wandering the Capital Wasteland. 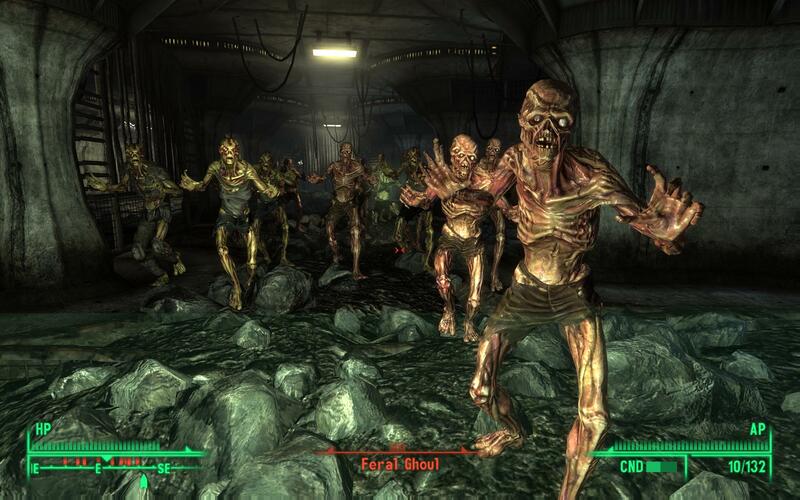 With this mod, a handful of supermutants will arm themselves with energy weapons. Looking for a little more life diversity in the Capital Wasteland? Well, Mart's Mutant Mod brings them to you by adding a ton of new creatures for you to encounter. Their AI is also enhanced so that monsters will hunt each other, and smarter enemies will even loot corpses for better gear. With this mod, monsters will no longer be as cookie cutter, since their sizes have been randomized. Ever square-off against a gigantic radscorpion? Here's your chance, wanderer. In response to the increased wildlife threat around the Wasteland, merchants are now accompanied by power armored mercenaries that are armed to the teeth. 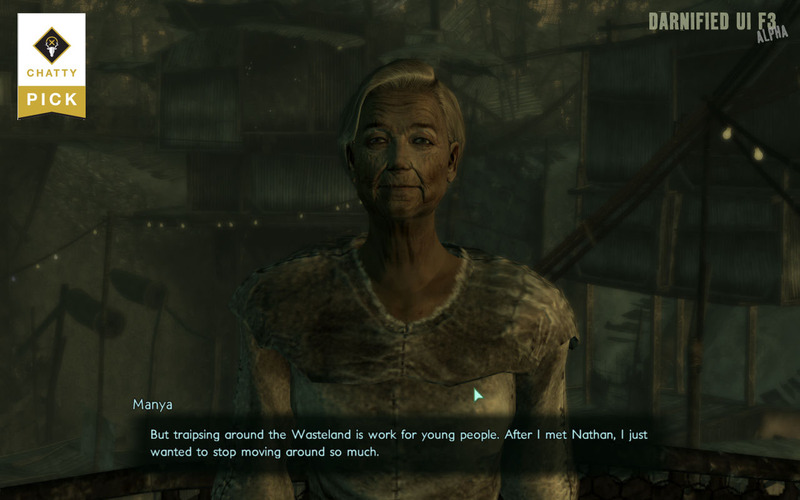 One of the most memorable characters from Fallout 3 is Sydney, the Relic Hunter from the Stealing Independence quest. However, once the quest is done, she decides it's better to strike it out on her own than to adventure with players. The Sydney Follower mod changes that mistake by making Sydney a full-fledged companion for to keep the player company. It would have been easy to have a mindless automaton journey alongside players, but the mod takes the experience to an all new level. Sydney is fully interactive with 420 lines of dialogue, voiced by the original actress. Additionally, she can help repair weapons or prepare meals with ingredients found in the world, and both these skills improve over time. Not to mention little touches, like fidgeting while waiting and gulping down Whiskey when you give her some, along with different hairstyles. Sydney could be the last companion you'll ever need in the Capital Wasteland. Life in the Capital Wasteland is dangerous and harsh, but things could always be worse. 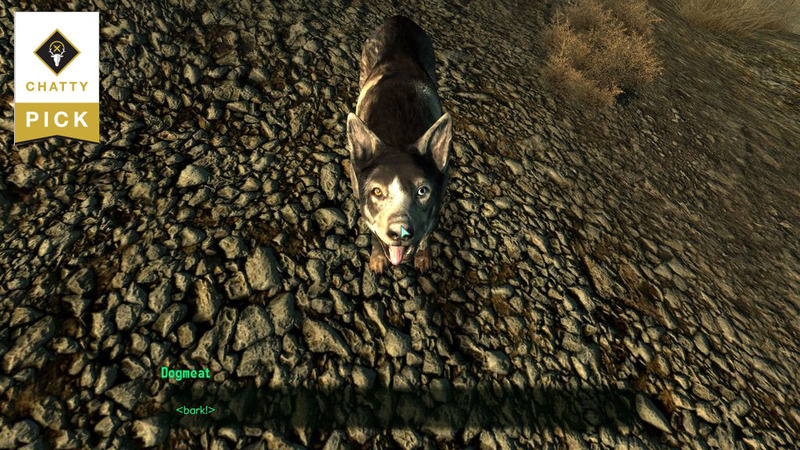 Make them worse with the Fallout 3: Wanderers Edition mod. It overhauls many of the game's aspects to turn Fallout 3 into a full-on survival game. Enemies are stronger and weapons are more powerful, but ammunition is incredibly scarce. Furthermore, you have to eat, drink and sleep in order to stay alive. Fortunately, the mod has a few new features to help you get by, including a means of using Action Points to enter bullet time. Additionally, if you have high enough charisma, you can recruit up to 5 followers and deck them out however you wish. You could be the biggest band of badasses to ever wander the Capital Wasteland. The mod works very nicely with Mart's Mutant Mod. Keep in mind that FWE won't work without Fallout Script Extender, so be sure to install it first. Tenpenny Tower is a bastion for the wealthy elite, who don't mind blowing up some of the lesser settlements should the mood strike them. It also has a strict "No Ghouls" policy. With the Tenpenny Tower Reborn mod, this building can transform from a beacon of prejudice and exclusion to one of peace, and co-existing prosperity. No massacre required! But first, you must stop a certain character from achieving his evil plans. After completing the quest and pursuing the path of peace, players are rewarded with the key to the penthouse suite, which is decorated with three new room, an aquarium, and a little secret to uncover. Furthermore, residents will get some new clothes, and act like real people. 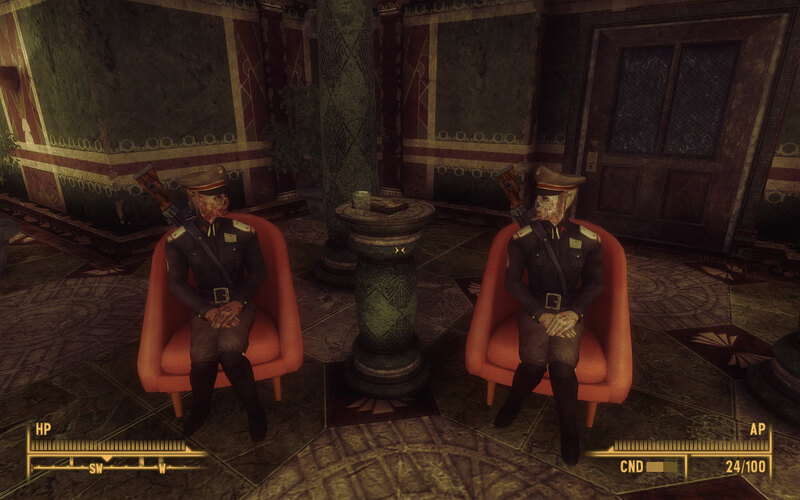 So, expect them to have kids, step outside for a smoke, and drink Nuka Cola. Security will also be significantly boosted, and if ghouls are allowed to live in the tower, then they will help guard the building from harm. Developed by NeilMC, who single-handedly replaced almost every environmental texture in the game over the course of a year, the NMC Texture Pack brings new life to what might otherwise be a dated looking game. The pack retains the original art direction, but makes it look better. The texture pack comes in several different sizes, so pick the one that best suits the power of your computer. However the pack might not work with all of the DLC add-ons. There' s only so much a single modder can do. 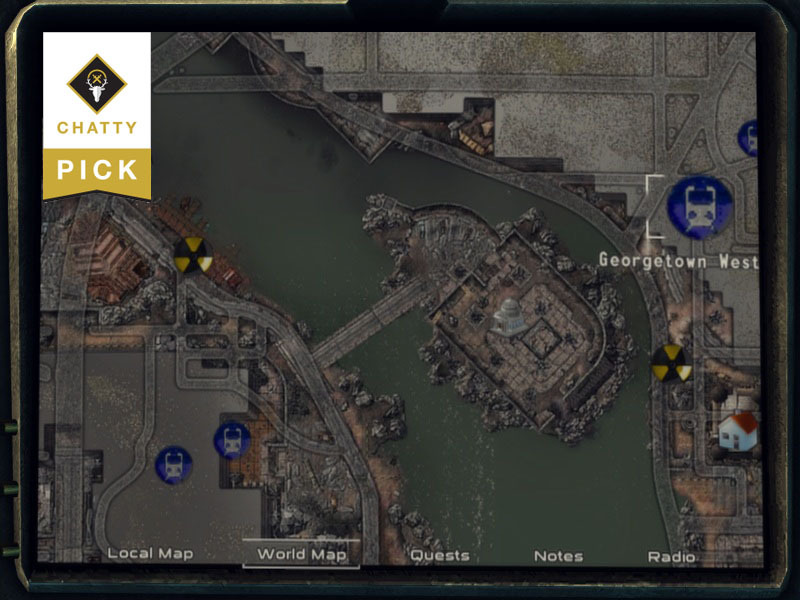 [Chatty Pick] Why put up a with a boring monochrome map of the Capital Wasteland, when you could have one in full color, complete with useful topographical information and improved icons? Travel in style with the Better High Detail Map and Icons mod while everyone else gets lost in the Wasteland. [Chatty Pick] Although the Unofficial Fallout 3 Patch doesn't make significant changes in the traditional sense, it fixes a long list of bugs that the developers at Bethesda never got around to. 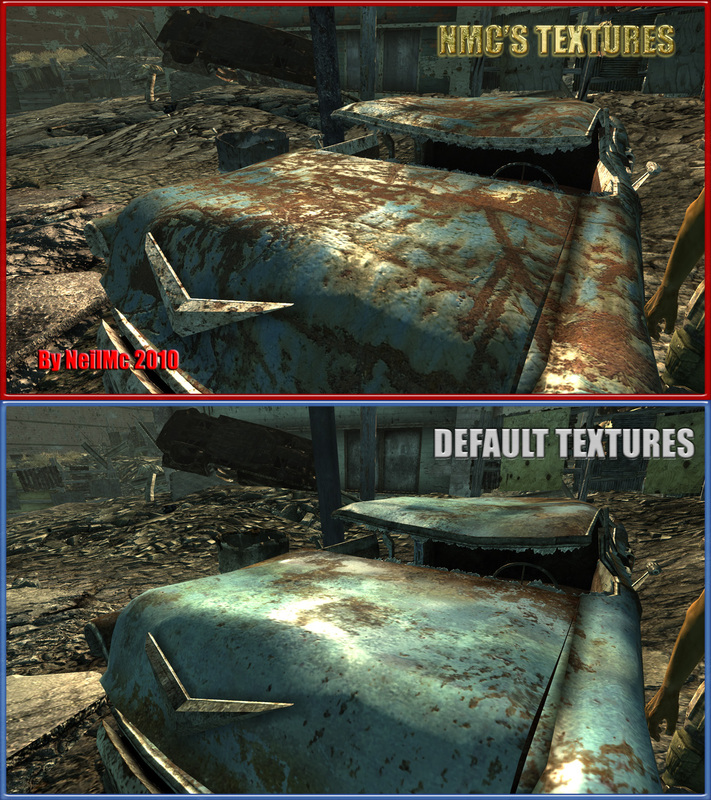 The mod doesn't technically make any big gameplay changes, unless you count a smoother, more stable, experience across Fallout 3 and its DLC expansions. [Chatty Pick] Similar to some of the other mods included on this list, the DarnNified UI is designed to address the overall experience by making the interface look better on the PC. That means smaller fonts, so that more items are visible on lists, and scaling changes for some of the other elements. As stated previously, sometimes the smallest changes can have the biggest impact. After using the enhanced interface, it can be hard to go back to the old one. I remember Sidney! She was tied in to one of my favorite bits of unmarked side content in the game. It's pretty cool that the mod author managed to get the voice actress to voice the mod. I wonder how that worked.